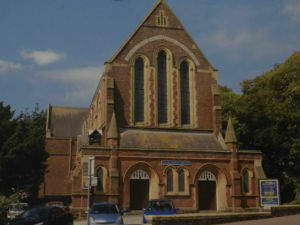 We are a friendly and growing evangelical Anglican church just half a mile from the centre of Paignton. The church was built in 1887 at a cost of £7,500 - there's inflation for you. 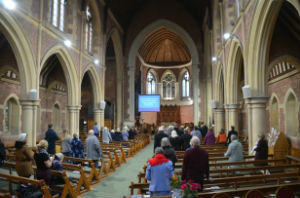 Our morning service is at 11.00am on Sundays. Our style is fairly informal, with a mixture of modern and traditional songs with Communion on the first and third Sundays in the month. On Sunday evenings Revive @ 6 is a modern service with contemporary worship. We also hold a weekly lunch time service on Wednesdays at 12.00 midday which consists of Readings from the Bible, a short talk followed by open prayer and coffee. We are always pleased to welcome visitors and you would be very welcome to join us. You don't have to be a believer to come to church - we all start off as seekers - but we believe that those who come truly seeking God will surely find Him. 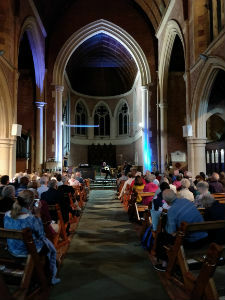 We recently hosted a concert with American singer Michael Card. It was a great night and we hope he'll return to the Bay sometime.